Great nonfiction stories often start with great anecdotes. I learned that in my newspaper reporter days. But over time, some writers started thinking that ANY anecdote would work. This led to miserable newspaper stories that started out with something to the effect of “When so-and-so went to work that fateful August morning, she had no clue that such-and-such was about to change her life.” Or “Usually, people think that such-and-such happen when they do this-and-that. But New-Organization was ready to prove them wrong.” Ugh. The incredible Perry Parks taught me to be discerning with anecdotes, to wield them at just the right moment so they had the most power. He even had a name for the crummy versions of those ledes — the Wacky Contrast (thanks to Esther Gim for her SPEEDY RECOLLECTION of Perry’s wisdom). Why is it always the brilliant ones who say things like, I will "dare to be naive." ? 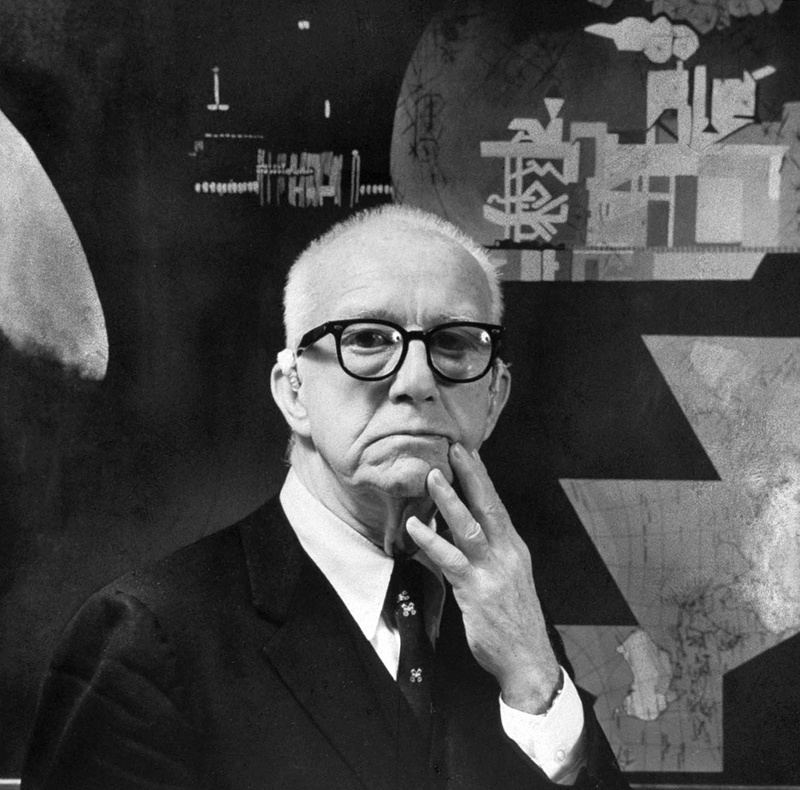 So which Buckminster Fuller anecdote do I pick? The one about a 52-year-old Bucky dancing on top of a table at the Art Institute of Chicago, telling a colleague that the bebop steps he had just picked up matched a mathematical interpretation of the universe he devised? Or the one about him wearing three watches, one showing the time where he was, one where he was going, and one at his home base? Or the one where he calls himself the world’s most successful failure? Or maybe the one about how he wrote a freaking metaphysical manifesto for his daughter in lieu of a standard reading of Goldilocks and the Three Bears? Bucky is going to give me a nice, long wait time so I can come to a decision on my own. Utopian/dystopian communities IRL. With the popularity of dystopian YA fiction, wouldn’t it be rad to revisit some of the communities/visions of the past? When I was at The Henry Ford Museum on Monday, they had a 1970s commune-type building based on the geodesic dome. Additionally, Bucky had a neat plan for Harlem that basically housed people in cylindrical high rises so the land in the neighborhood could be rehabilitated and turned into urban farmland. Isamu Noguchi. You were briefly introduced to him in Jan Greenberg and Sandra Jordan’s Sibert honor book Ballet for Martha. He was carpool buddies with Bucky, and had this AMAZING, DX-Arts-y plan in the nineteen freaking THIRTIES for Martha Graham to put theremin rods up around the perimeter of a stage so dancers would interact with them and create music with their movement. Also, last year’s I.M. Pei biography was pretty rad, so that’s been inspiring me lately. Kid Lit Books and the World’s Fair. I’ve been thinking about the appearance of World’s Fair festivities in Wonderstruck and The Friendship Doll, and how much I would love to see, both as a reader and an educator trying to build schema, what the exhibits really looked like. I suppose I find the timing serendipitous because this year Seattle is celebrating the 50th anniversary of the Space-Needle-creating 1962 World’s Fair. Anyway. Those are some things I’m thinking about as I get this #buckybook business off the ground… Thoughts? Questions? 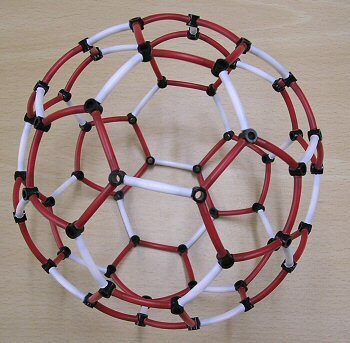 Gurrrrrrl, I KNOW you know what a buckyball is. Check out http://www.cityclicker.net/chicfair for sneak peeks at the Chicago World’s Fair. You will love it! Next Next post: Classroom Book Award Category Nominations!